What do you do if your invention becomes a weapon? This happened to Chris Anderson, former editor of Wired Magazine, who launched DIY Drones, an open source community that helps anyone build their own flying machines. Chris and his community evolved drones from a military tool to an everyday gadget. Now, drones are used by conservationists to monitor bird's nests, contractors to insure safety standards at building sites, and filmmakers to capture sweeping vistas, among other things. But, they're also used by ISIS to drop bombs on civilians. So, what is Chris' responsibility? Did he foster innovation for a community of like-minded do-gooders or democratize a weapon for a terrorist group across the globe? Host Caterina Fake discusses the possibilities with 3DR founder and CEO Chris Anderson and special guests comedian Baratunde Thurston and Quartz Editor-in-Chief Kevin Delaney. Throughout human history, we’ve wanted to fly – and to fly fast. So it’s hard to resist Blake Scholl’s idea. His startup, Boom, is building a new supersonic jet, which will fly at twice the speed of sound. If he succeeds, it could be the biggest disruption to air travel since the Jet Age of the 1960s. But progress always has a price. There’s the sonic boom, yes. But also — what happens when the world’s wealthiest can descend en masse on places that used to be hard to reach? And what happens to all of us when supersonic speeds up our already sped-up world? To help us see around this corner, host Caterina Fake discusses the possibilities with Boom Founder and CEO Blake Scholl, and special guests including author Anand Giridharadas, physicist Janna Levin, comedian Baratunde Thurston, and Quartz Editor-in-Chief Kevin Delaney. What if your computer had an "emotion chip" — AI that could read the expression on your face (or the tone in your voice) and know how you’re feeling? Could online courses teach you better if they knew when you were bored or confused? Could your car help you stay awake if you drift off when driving? These are the questions Rana El-Kaliouby asked when she built an AI tool that examines every micro-muscle in the human face to detect universal emotions — happiness, fear, grief, disgust. Through her company Affectiva, Rana wants to make technology more human, which she believes will serve us better. But if put the wrong hands, could this emotion-reading engine take advantage of us at our most vulnerable moments? Could our inner thoughts be displayed publicly if we don’t want them to be? How might advertisers exploit us if they are able to read our facial expressions? 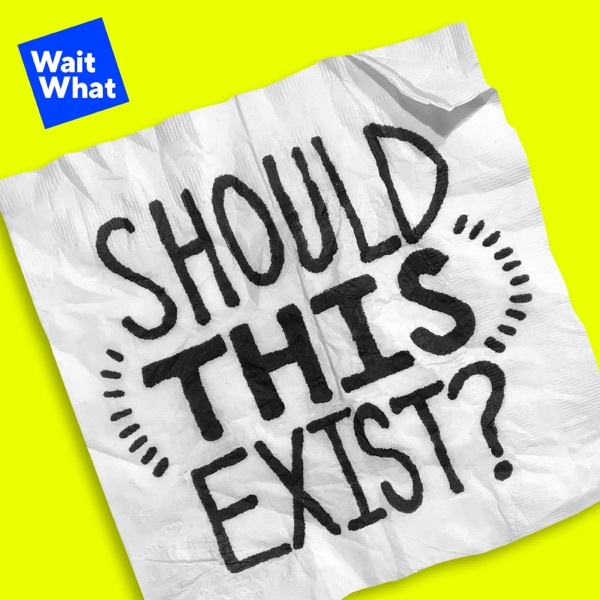 To help us see around corners — we’re joined by special guests including Esther Perel (Relationship expert; host of podcast “Where Should We Begin?”), Joy Buolamwini (Founder, Algorithmic Justice League); Sam Altman (Chairman Y Combinator, Cofounder Open AI); Greg Brockman (Cofounder, Open AI); and Joi Ito (Director, MIT Media Lab). In the trailer for Should This Exist?, you’ll get a sneak peek (err, listen!) into the first episodes: a wearable that hacks your brain with electric fields so you can learn like a kid again; an AI-driven tool that translates between human and animal languages; a fully automated chatbot that offers one-on-one therapy; and more. Premiering February 21, 2019.